All are welcome to grow food for our community! To learn about what's going on at the garden right now, visit our blog. 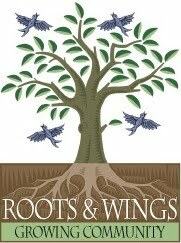 The Labyrinth Garden -- Roots & Wings first garden, in front of South Church, along Broadway. The Kitchen Garden -- a community garden wedged between South Church’s parking lot and Oak Street in Dobbs Ferry. Meet the Kitchen Gardeners. These are the community members who have dedicated plots. All are welcome to garden on the shared space and grow food for the Dobbs Ferry Food Pantry. The Kitchen Gardeners are a diverse group of folks who come together on Saturday mornings to work both individual plots and community beds at our garden behind South Presbyterian Church. Although we all now live in Westchester, we originally came from Holland, Argentina, Paraguay, South Africa, South Carolina, Albany, and the Tri-State area. Collectively, we speak English, Spanish, Russian, Italian, French, Hebrew, Portuguese, Greek, and Dutch—although English and Spanish are the only languages you are likely to hear with any frequency at the Kitchen Garden. Some of us are in our twenties, some in our sixties, and the rest are in between. A few of us have known each other for decades; others are brand new friends. We found out about the garden through the food pantry, the Internet, friends, and involvement in South Church and Roots & Wings. More HERE. Check out pictures from Dobbs Ferry Middle School's Ecology Club Visit. When I first heard of the kitchen garden, it really resonated with me. I looked at it and thought, “This is it.” I think it was meant to be that I became involved with it. My parents and I moved from Argentina when I was seven. It was hard for all of us. When we came we didn’t know the language. We didn’t have anyone. What saved me was that that my dad and I became homesteaders in the south Bronx with another six families and individuals. For those who are not familiar with homesteading, it was a movement to rehabilitate living spaces with some city support and sweat equity. We met as a group every Saturday for the next six years organizing a plan of reconstruction as well as working within the building in order to try to preserve its deteriorating structure. This was in the mid 80’s and it took us a total of nine years to compete the project as we say many members come and go along the way. The last people standing developed a very strong bond and we will always identify ourselves as homesteaders. 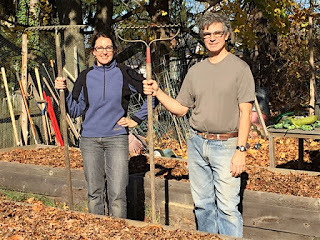 It was through another homesteader that I discovered community gardening. The Cherry Tree Association, a community group made up of squatters, had taken control of a large plot of land on Willis Ave, about four clocks from our homesteading site. 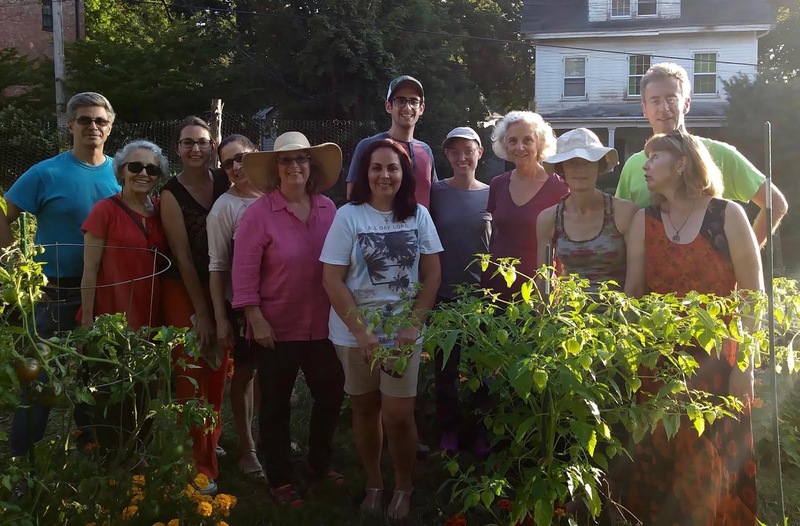 This group was made up of an eclectic and diverse set of individuals who had the common goal to transform an ugly plot into a sustainable and productive garden. It took a couple of years but at the end we were able to grow almost any kind of vegetables, we built a casita for meetings, and even raised chickens. During this time we visited dozens of gardens all over the city. We compared gardening methods, admired each other’s productions and spoke about ways of protecting our gardens from the city urban plans. We were constantly under the threat of having our gardens taken away from us but through petitions, rallies and community meetings we were able to fight city hall and save almost all of our gardens. I’m proud to say that this garden at Willis Av, after over 25 years, is still thriving with new and old members. The same is true for 272 Alexander Ave, our homesteading project where my dad still lives today.